TeachPitch Gains Support from EDUCATE for the further development of its new learning recommendation algorithms. Team TeachPitch is very happy to announce it has been selected for the EDUCATE programme. EDUCATE is a UCL led collaborative partnership, match-funded by the European Regional Development Fund, with Nesta, F6S and the Education Foundation. It uniquely brings together EdTech SMEs and start-ups with researcher entrepreneurs, and educators, in a working collaboration founded on learning science and world-class research. EDUCATE’s ambition is better, evidence-informed EdTech products enabling better 21st century digitally enhanced education. During a period of 3 months, the product team of TeachPitch will take part in an intensive training programme at EDUCATE during which it will want to learn as much as possible on the optimal use of research evidence in the design of their new machine learning applications and algorithms. 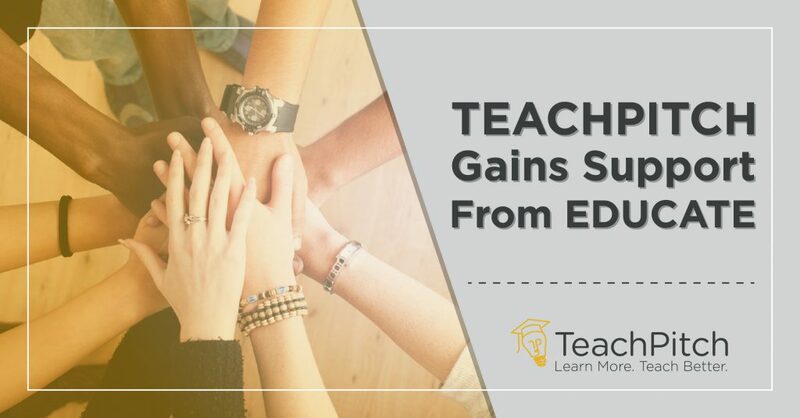 In addition to this research support, TeachPitch will also be helped by the EDUCATE team with high-level business advice and continuous feedback from educators and learners to ensure that our platform and product actually delivers what education needs. For more information, please contact us at info@teachpitch.com or click here for more information on EDUCATE (www.educatelondon.wordpress.com).